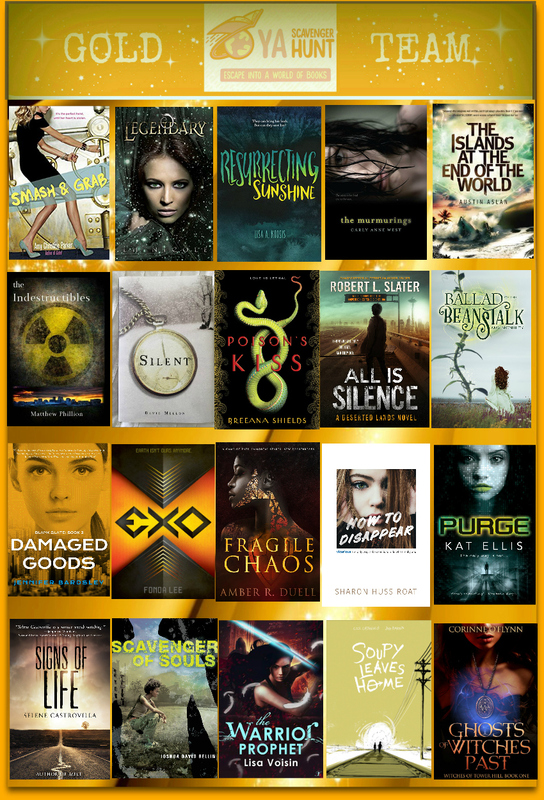 I am the author of the highly-acclaimed sci-fi eco-thriller The Islands at the End of the World and its sequel, The Girl at the Center of the World, published by the incomparable and preeminent Wendy Lamb at Random House. The Guardian recently ranked my debut novel as a top-ten read in the awakening genre of climate fiction, and Kirkus Reviews hailed the series opener as a “Best Book of 2014.” I earned a master’s degree in tropical conservation biology while living with my wife and two children on the Big Island of Hawai`i. A Northern Arizona native and long-distance backpacker, I can often be found exploring the world’s last wild places while sleeping on a punctured air mattress. Follow my globetrotting and outdoor adventures on both Facebook and Twitter at “Laustinspace,” and PLEASE CHECK OUT MY ESSAYS on the Gore-Tex® “Experience More” blog. I was born and raised in Arizona. I grew up in Prescott, as did my wife. We found each other in high school AP Chemistry class, got to know each other in our Sacred Heart Catholic Confirmation program, and have been together ever since. We first kissed behind an outhouse at the bottom of the Grand Canyon during a Thanksgiving trek in 1994, and we were married at the Catholic Newman Center on the UofA campus in June of 2000. We traveled the world together, spent three years as Peace Corps volunteers in Honduras, and then started our family while Clare pursued a PhD in Ecology at UC Davis in northern California. We settled in Flagstaff with our daughter and son in 2014, and we plan to remain here for the long haul. I graduated from the University of Arizona in 2000 with a degree in Wildlife Biology. Later that year I successfully appealed my only parking ticket. David Copperfield once disappeared me in front of 2,000 people at Caesar’s Palace, but I found my way back. I have appeared in two movies: The Getaway with Alec Baldwin and The Postman with Kevin Costner (Huzzah!). After college, I briefly drove ambulances way to fast as an EMT in Prescott, Arizona. Starting in 2001, I served a three-year stint in the Peace Corps in Honduras. While saving the world, I freaked out way too much about colorful birds and made lots of hideous tortillas. Upon returning to the States in 2004, I served as the campaign manager for a U.S. Congressional bid in Oregon. From 2004 – 2011 I worked as a professional community organizer in Sacramento, California. I spearheaded several comprehensive strategies to reduce youth violence in the Sacramento region. Out of many worthwhile accomplishments, I’m particularly proud of a successful campaign to remove the name of a sordid Sacramento eugenicist from a county park and a middle school (the school was renamed Rosa Parks). There’s a great Wall Street Journal article about that campaign here. Once my wife completed her PhD in Ecology at UC Davis, we quickly vacated to the Hawaiian Islands, where we set up shop in the rainy town of Hilo on the Big Island. Austin takes his place in the Vatican Museum amongst some of Western history’s most bobbled heads. In Hawaii, I completed a master’s degree in Tropical Conservation Biology. In the spring of 2012, I received a National Science Foundation Graduate Fellowship for my research on rare Hawaiian plants. While in Hawaii, I penned a YA disaster/survival novel with sci-fi elements and slowly polished the book to a nice glossy sheen. Then came 12.12.12. The day I got “the call.” ISLANDS AT THE END OF THE WORLD, sold, to Wendy Lamb of Random House, in a two book deal. These days, I spend my time with my high-school-sweetheart wife and our two young children exploring the wilds of northern Arizona while camping in a tent on a punctured air mattress and taking complicated photos of sunsets and the stars. My writing journey toward publication was tough. I know how heartbreaking the quest for publication is, and in addition to promoting my works, one of my principal aims with this blog is to be a guiding light for other prospective authors out there. I made a lot of mistakes that unnecessarily lengthened my time in the wilderness, and I’ve learned so much along the way. I hope I can pay this knowledge forward as I enter this exciting new phase of my writing career. That is an awesome bio, Austin. Hello, I first saw your book in the Barnes and noble in Ala Moana. Since then, we have moved from beautiful Oahu to Tucson so my husband could attend UA. In that time, I never touched your book. Then, this morning I started to read it even though my husband told me I would just make myself sad cause it would cause me to miss Oahu. I have just finished the book and all I can say is thank god I didn’t read it until we moved away. Your depiction of the breakdown on Oahu is pretty convincing and I would have been super paranoid for days. Overall, good job. Thank you, Laura! That’s great to hear. I also moved from HI to Tucson (two June’s ago). Not an easy move! But Tucson is a splendid place in its own right. Glad you enjoyed the book, hope you’ll enjoy the sequel, too! And please, please, when you have a moment, leave a review on Amazon.com of the book! It’s really helpful when readers do that. Like you, I’m a writer of young adult eco-fiction. I’d love to enjoy your new book, “The Girl at the Center of the Universe.” However, I’m blind, which means I need to listen to books. Since your’s is not available in audio form, would it be possible for you to send me a pdf version which I can listen to with the voice text reader on my computer? I’ll certainly post an honest review on Amazon in return. Thanks for your consideration and best wishes for continued writing success! I liked reading trailblazer ALOT. Thank you for making that book! Noah, thank you for reaching out to me and for saying that. Please leave a review and a rating on amazon.com, and goodreads if you have an account. It’s so very helpful for helping to get the word out. Hello Austin! I’m an editor at Lonely Planet and was curious if you might be interested in covering the Arizona Trail (or others) for a Lonely Planet book in planning. Thank you for docking here at Laustinspace. I'm Austin Aslan, a Science Fiction and Fantasy novelist out there in the ether, looking to touch the stars and blow you away. Explore my desultory domain, leave a comment, spread the word, and come back as often as you like. Learning Lab: ISLANDS 48 page Comprehensive Core Curriculum Guide! Are you an educator or librarian looking to teach a popular and exciting literary novel? Look no further! 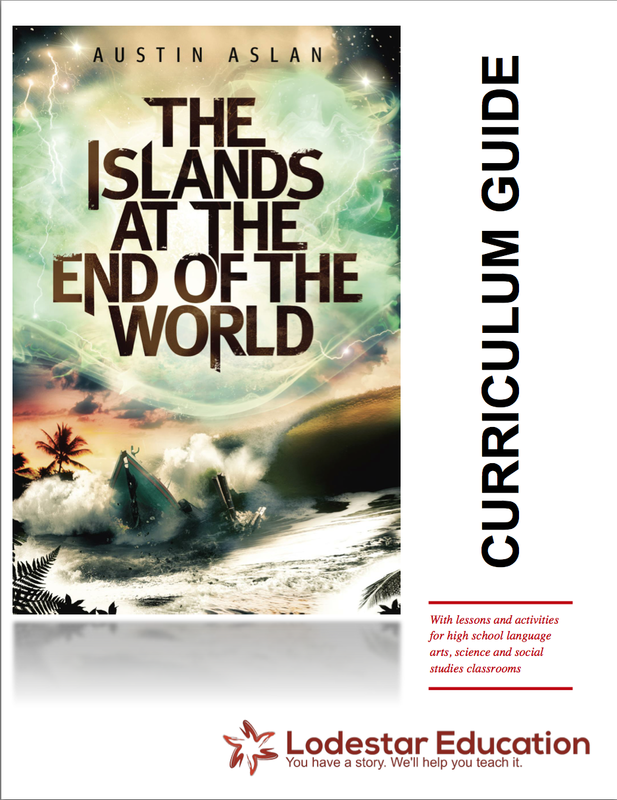 This 48 page ISLANDS teaching guide uses Core Curriculum standards and is cross disciplinary. Developed by education professionals. Download a copy today and start your students on a literary adventure they'll never forget! 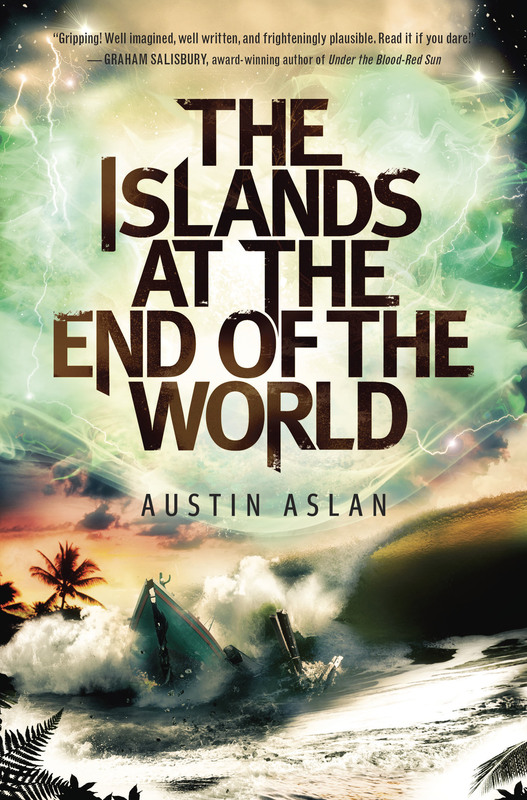 Order The Islands at the End of the World on Amazon today! 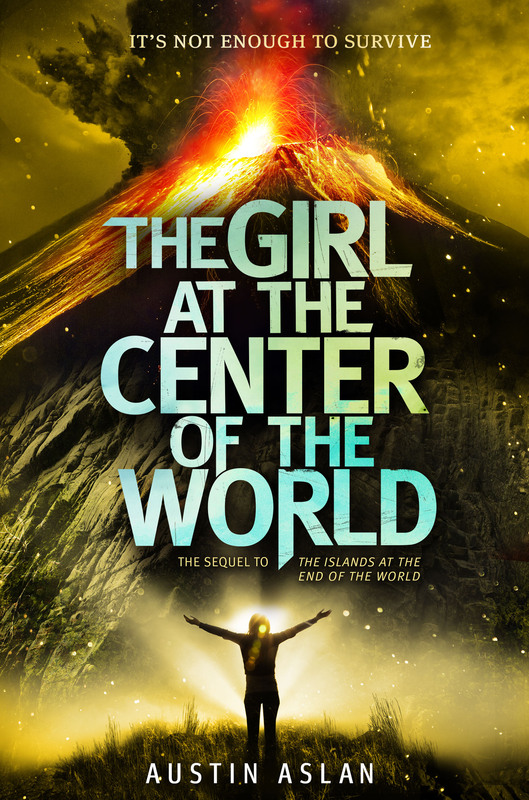 Order The Girl at the Center of the World on Amazon today! Click to receive an Email Alert when new sub-space transmissions are posted.